FORT LAUDERDALE, Fla. – Entering her eighth season at the helm, head coach LeAnn Freeland-Curry and company are ready to kick off their 2018-19 slate on Nov. 9 at the GSC/SSC Crossover Challenge. This year’s 14-player squad features nine returners and five newcomers, including four NCAA Div. I transfers. This season, NSU will host 15 home games and will travel for 12, hosting one tournament. The Sharks will also test their strength at Miami for an exhibition game on Oct. 29. For its first official game of the season, the Sharks will square off against Delta State for the second-straight year before taking on Union on Nov. 10. From there, the Sharks will host a midweek matchup against fellow Div. II South Region member Montevallo before hosting the 6th-Annual NSU Thanksgiving Classic on Nov. 23-24. NSU will compete against defending CIAA champions Virginia Union on Friday and Alabama Huntsville on Saturday, while also welcoming Barry to the Rick Case Arena to round out the four-team tournament. On Nov. 28, Nova Southeastern will begin Sunshine State Conference play, hosting Barry in the Shark Tank before hitting the road for back-to-back games against Embry-Riddle and Saint Leo on Dec. 1 and 8, respectively. In mid-December, the Sharks will host a pair of non-conference games against Drury (Dec. 16) and Concordia (Dec. 18) before returning to SSC competition versus 2018 SSC Tournament Champions Florida Southern after the holiday break on Dec. 29. 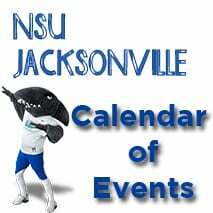 Kicking off the new year, NSU will take on two road games at Rollins and Florida Tech on Jan. 2 and 5, before coming back home for three-consecutive matchups against Eckerd (Jan. 9), Tampa (Jan. 12) and Lynn (Jan. 16). A home game against Embry-Riddle on Jan. 26 squeezed between away games at Palm Beach Atlantic (Jan. 23) and Barry (Jan. 30) round out the month. The final eight games of the season will be solely against conference foes, with four on the road and four at home, ending with a matchup against Palm Beach Atlantic in the Rick Case Arena on Feb. 27. Post-season play will start with the SSC Tournament Quarterfinals on Mar. 6 before the Sharks will host the 2019 SSC Championship Tournament on Mar. 9-10. To view the full NSU women’s basketball 2018-19 schedule, CLICK HERE. 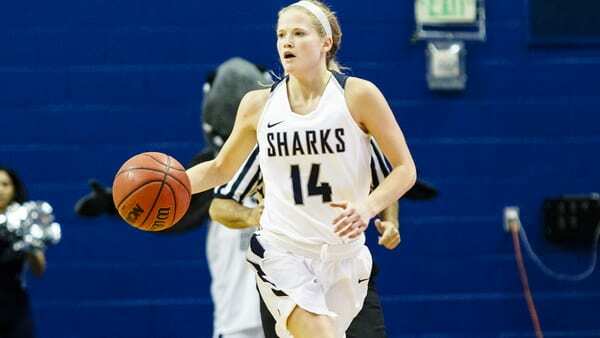 To stay up to date on all things NSU women’s basketball, follow the Sharks on Twitter @NSU_WBasketball and @NSUSharks.